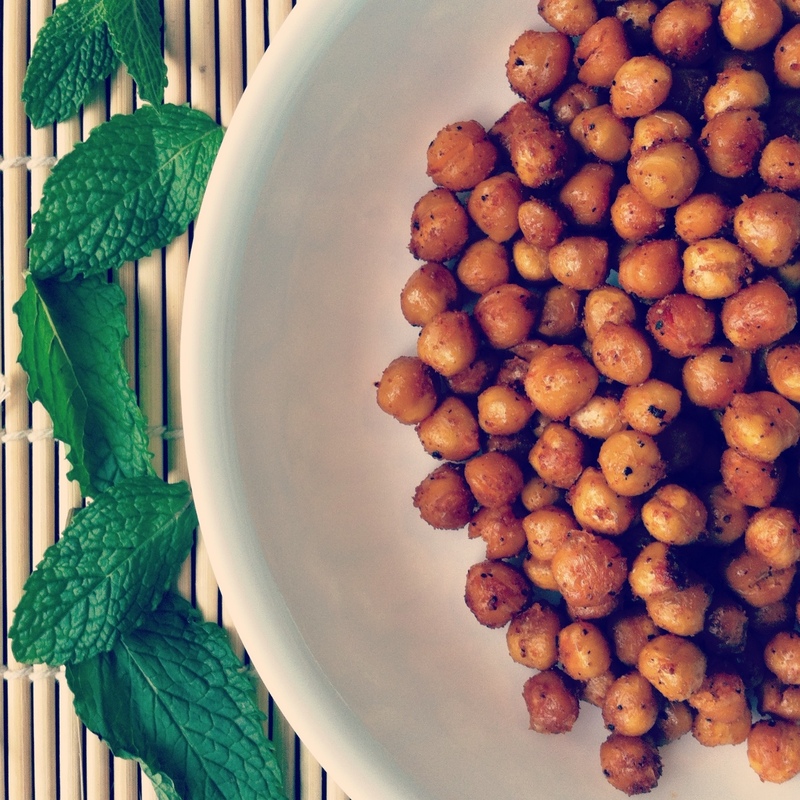 Roasted Chickpeas with Mint & Lemon. | Eat More Plants. Ever since my daughter was old enough to tell me what she wants to eat, chickpeas were a main staple snack. Plain with some lemon, mashed and fried into patties or roasted with smoked paprika: she’ll take them in any form. 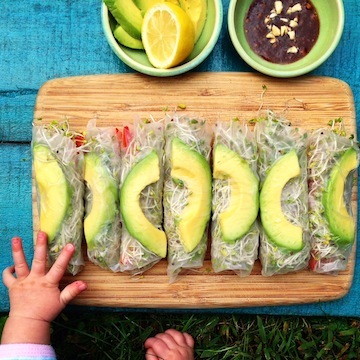 They’re quick and healthy and not too messy to grab on the go. I had a bunch of fresh mint from my garden and decided to roast some chickpeas for lunch today. Toss cooked and rinsed chickpeas with olive, grapeseed or coconut oil. Choose your favorite spices; I used smoked paprika, salt, cumin, cayenne, garlic powder and onion powder. Make sure the chickpeas are evenly coated. Roast for 30-35 minutes, giving a toss halfway through. I like to eat these with fresh mint, a squeeze of lemon and a drizzle of agave. Radish & Avocado on Toast.